StopLift Checkout Vision Systems has now detected more than 1.5 million incidents of scan-avoidance at both manned and self-checkouts at retailers around the world. StopLift’s Scan-It-All™ video recognition technology has confirmed more than 1.5 million-plus incidents, which include “sweethearting”, when cashiers pretend to scan merchandise but deliberately bypass the scanner, thus not charging the customer for the merchandise. The customer is often a friend, family member or fellow employee working in tandem with the cashier. Many scan avoidance incidents are also caused by customers using self-checkout. 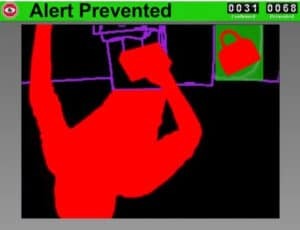 See real scan avoidance incidents – and a realtime incident counter at www.StopLift.com. StopLift’s patented Scan-It-All video analytics technology visually determines what occurs during each transaction to immediately distinguish between legitimate and fraudulent behavior at the checkout. As soon as a scan avoidance incident occurs, StopLift, which constantly monitors 100% of the security video, flags the transaction as suspicious. It quickly reports the incident, identifying the cashier or customer and the date and time of the theft. This includes incidents which may be due to mistakes by the cashier or customer at self-checkout as well as items left in the shopping cart. Dishonest associates are identified on the basis of video evidence the first time they conduct a fraudulent transaction, rather than months or even years down the road, significantly reducing inventory shrinkage, deterring future theft, and boosting profitability. 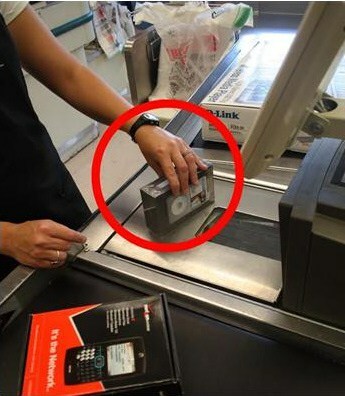 Likewise, dishonest customers are identified at the self-checkout. “The system never sleeps. It lets me sleep,” said Piggly Wiggly owner Keith Holley of Alabama. The technology eliminates costly, time-consuming human review of video, drastically reduces and deters fraud at the checkout, and significantly improves profitability, Kundu said. Rather than take a one-size-fits-all approach, StopLift develops targeted applications to address the specific needs of retailers from different sectors including general merchandise, grocery, and specialty retail. Scan-It-All works with existing off-the-shelf overhead cameras. No special camera equipment needs to be purchased or installed, and no changes have to be made to the checkout.